Comments: Cubic fluorite crystals with octahedral galena crystals. 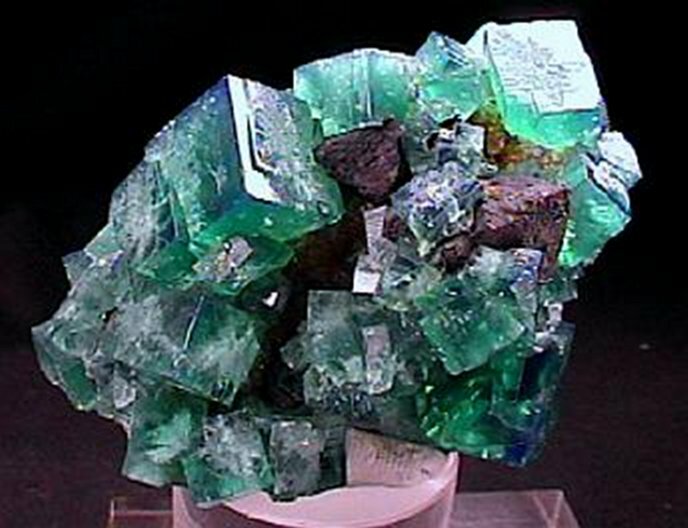 The largest crystal is 2.1 cm across. Note the exceptional fluorescence of these crystals. Location: Rogerley Mine, in Weardale, England.